The earliest inhabitants of Ark likely had to deal with this menace in the Farmlands. This is the final creature to come out as part of Creature Release Week. Visit the Cave to find it. Elusive as any of the others... this is the Doomwalker. Visit the Cave and see if you can find it. This is yet another creature that could attack you in the Forest! It seems like this habitat is becoming quite... hostile. Find this creature and others from this past week in the Cave. This creature may be a visitor that comes from unknown depths, created by an ecological disaster. Find this creature in the Cave for Creature Release Week. This is the fourth creature. The Mothman is an ominous creature that is reportedly seen prior to a large disaster. It is one of the most popular creatures discussed among Ark's ever-growing community of cryptid enthusiasts, many of whom desire to see this flying red-eyed omen for themselves in spite of the tragedy that may follow. Catch a glimpse of the Mothman in the Cave as part of Creature Release Week. Congratulations to @mindassala and @splashnose and @ashe, the winners of drawing 1 for January 2019's Cash Shop Creature Lottery! A Volpe has been added to each of your accounts. The name Dropalla comes from the fact that these vicious, nocturnal bears wait high up in trees and drop down to attack you with their enormously large claws and teeth when you're directly underneath them. Like other cryptids... is their existence really proven to be true though? Find the Dropalla in the Cave as part of Creature Release Week. If you've never experienced Creature Release Week before, get ready! Each day for the next week, we'll be releasing one brand-new species in the Cave for you to find and adopt. 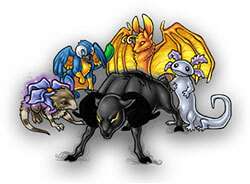 The final day of Creature Release Week is the 8th day, when all creatures are available from the Cave. Will you collect them all? All creature stages will be revealed at the end of the week. The rest are hidden with the exception of the Hoddel (already known in the CDWC). Cave attempts are increased to 25 per day but will return to the normal 10 attempts per day after the final (8th) day. THIS IS CREATURE RELEASE WEEK 2019: CRYPTIDS! WELCOME! Cryptids are creatures who are rumored to exist but haven't been proven to exist by scientific observation. The Kraken would be an example of this. Based off the Hodag, this is the Hoddel. 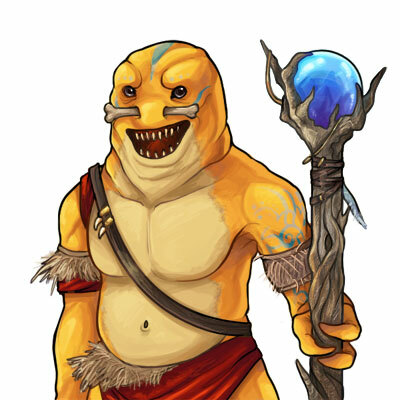 It was discovered by some Arkian scientists in the shallow swamps of Ark. Many thanks to @firedawn for writing the winning CDWC description (the first Hoddel in existence has been added to your account for free). Cave attempts have been fixed and now allow you to visit 25 times per day without a wait. After that, it's the normal wait time.